In the Funäsfjällen there are six ski areas: Tänndalen/Tänndalsvallen, Ramundberget, Funäsdalsberget, Tännäskröket and Kappruet. All have their own unique features and unique focus. It’s easy to find your own favourite. With their high mountains, fabulous nature and deep natural snow, Funäsfjällen are a perfect alpine skiing paradise. Add to that 300 kilometres of cross-country ski trails and the combination is unbeatable. 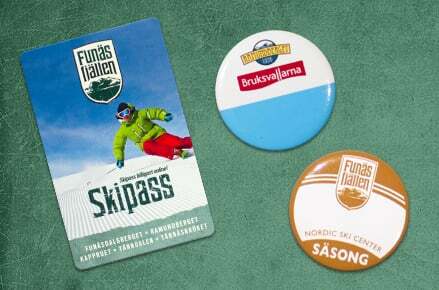 You can buy ski passes for the respective ski area or for all of the Funäsfjällen. And of course you can get all your skiing, both alpine and cross-country, on one and the same super-pass. In addition, night-time skiing, a natural snow and non-crowded slope guarantee and even a free ski bus are included. Our various ski passes are priced according to how many days you want to buy. But it’s always cheapest to buy online. We recommend buying your ski pass and gear as well as booking a ski school in good time, so everything is ready when you arrive. Buy Fjällpasset and you’ll get access to all 136 downhill runs. Nowhere in Sweden will you find more depth and variety at one and the same destination than in the Funäsfjällen. Check out the piste maps for Tänndalen, Ramundberget, Funäsdalsberget, Tännäskröket and Tänndalsvallen. Many people think ski schools are just for beginners. But that’s not quite right. Today you can learn all about carving, snowboard, telemark, off-piste, freeriding and competitive skiing at all levels from our ski instructors. Private lessons or personal workshops together with a ski instructor give you a boost regardless of what your skill level is. Of course we also have ski schools for the younger ones on the slopes. Here they can play and run riot, grow and find adventures. 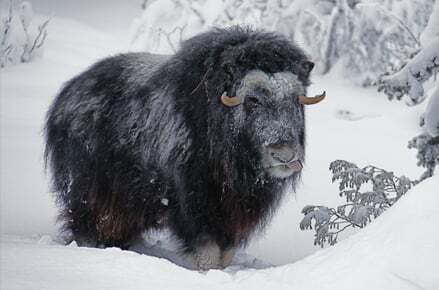 The ski schools in Funäsfjällen are famous for their children’s activities, and together with new skiing mates and pedagogical instructors, exciting days lay ahead. We have everything from ski kindergarten for 3-year old novices to “black” racing schools or freeriding for the older kids. With he ski bus you can quickly get from one ski centre to the next as well as to the cross-country ski trails in the area. With a valid alpine Fjällpass (ski pass for all centres) or cross-country badge, you travel for free and as much as you like. Everyone else can buy weekly or daily passes or single journey tickets.In the Funäsfjällen there are five ski areas: Tänndalen/Tänndalsvallen, Ramundberget, Funäsdalsberget, Tännäskröket and Kappruet. All have their own unique features and unique focus. It’s easy to find your own favourite. With their high mountains, fabulous nature and deep natural snow, Funäsfjällen are a perfect alpine skiing paradise. Add to that 300 kilometres of cross-country ski trails and the combination is unbeatable.